RIO GRANDE — The University of Rio Grande and Rio Grande Community College takes pride in honoring veterans who have served and are continuing to serve our country. As part of this endeavor, Rio created the “Jim Marshall Veteran of the Year Award” to recognize veterans who have gone above and beyond the call of duty. This year’s award will be presented to Korean War Veteran Sergent 1st Class Danny Wagner of Hanging Rock, Ohio. The ceremony will begin Saturday, Oct. 27 at 5:30 p.m. in the Lyne Center with the unveiling of the Jim Marshall Award Display, which honors all recipients of the award. Wagner will be honored at a Honor Our Veterans Night banquet at 6:30 p.m. The banquet will be open to the public, with veterans eating for free and a $10 cost for the public. Athletic Director Jeff Lanham said this award is a reflection of Rio’s efforts to be a veteran-friendly campus. Sergeant Wagner enlisted in the Army August 1948 serving in multiple infantries and companies during the Korean War, also serving as a Squad Leader during engagements. He has received three Purple Hearts and numerous awards for service to his country. After four years of meritorious service, Wagner was honorably discharged from the Army May 1952. 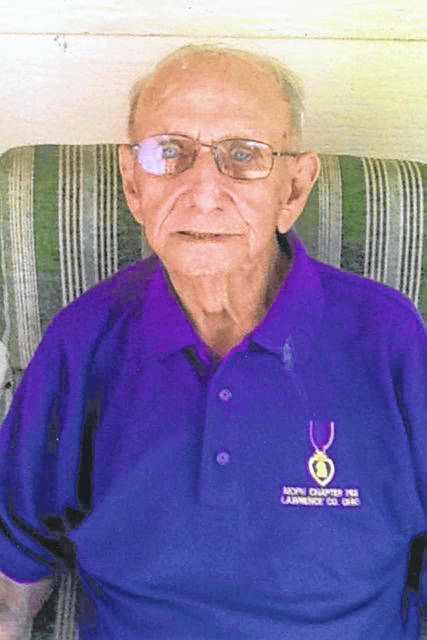 Retired Sunoco Chemical Company employee and member of the Ironton VFW Post 8850 Frank Collins, of Ironton, who nominated Wagner for the award, said he believes he deserves the award for his spirit, dedication and endurance in serving his country. The committee to select the winner chose Wagner due to his similar values and equal dedication to both country and community as Jim Marshall. Marshall was a valued member of the Rio Grande Men’s Basketball Team where his character, attitude, performance, and leadership served to inspire his teammates. He left Rio to serve his country in the US Military during the Vietnam War as 1st Sergeant, Kilo-Battery—4th Battalion—13th Marines. He was injured in combat and awarded the Purple Heart. He joined the 684th Army National Guard in 1974. Former Rio Athletic Director and Men’s Basketball Coach Art Lanham said he hopes this award will continue to honor the legacy Marshall left at Rio. Another way Rio continues to honor veterans in the area is to offer them free admission to all athletic events at Rio’s campus during the 2018-19 year. For more information on the banquet, or how to nominate a veteran for 2019, contact RedStorm Athletics at 740-245-7293. Submitted by the University of Rio Grande.